I've been very lazy about stocking my shop. Too much going on in real life. But I haven't been completely slack, I have been coming up with ideas and items to create. I have been working on these little gift bags that will be in the shop very soon. 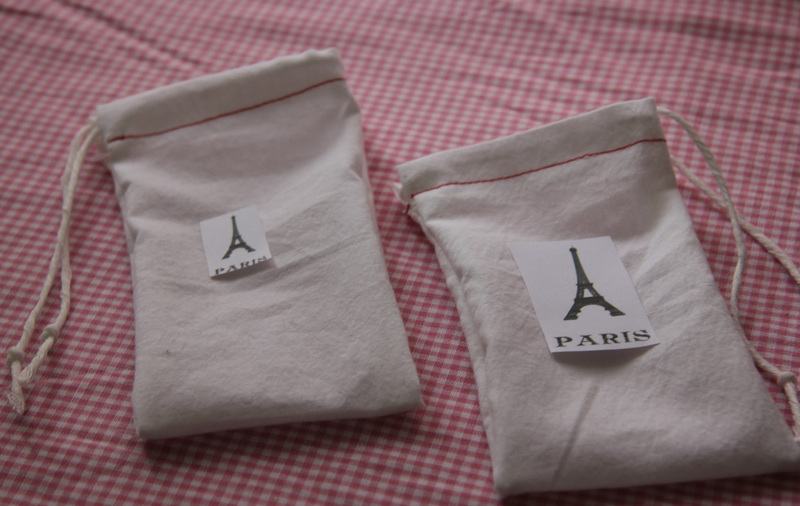 I am happy with how they look, now I have to silkscreen little Eiffel Towers on them. They are great for little thank you gifts. I will also be adding fleur de lys confetti that will come in one of these little bags.